. . . Energy Research Centre co-director Michael Jack said the infrastructure and market structures needed to change. “Wind is variable. It’s only generating when the wind blows. “Solar is generating during the middle of the day, when there’s less demand for it. Hydro generation is more reliable, except when droughts decrease river flows, but the chances of getting new hydro schemes through the consent process are remote. “What you need to do is either shift your demand to those time when the renewables are being produced or somehow store those renewables for use at later times,” he said. . . Improved technology could provide better storage, but is unlikely to come up with something affordable in the near future. He said if changes were not made, the switch to completely renewable energy would be costly. Of course it will be costly and that will hit poorer people hardest. 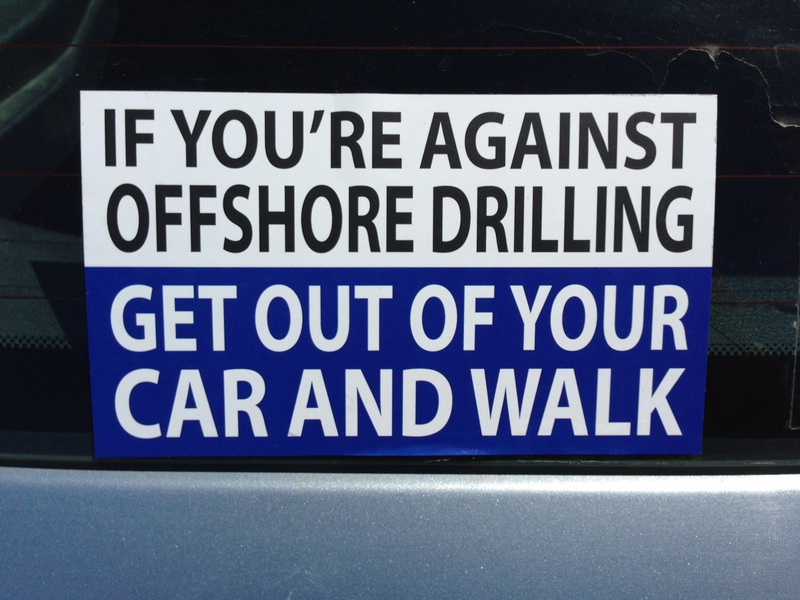 This is another reminder of how ill-advised the government was to rush into the ban on oil and gas exploration. “Given the strong public interest and enormous ramifications of this decision, it’s crucial this process isn’t rushed,” says PEPANZ CEO Cameron Madgwick. “Our industry doesn’t want a Block Offer this year if it means an undemocratic process. This means there should be no reason now for urgency. “There has already been a shocking lack of consultation since the surprise announcement was made in April. To now slash the consultation time doesn’t seem fair, open or transparent to the communities, workers, and iwi directly affected. “Given some of the outrageous comments from relevant MPs in the debate tonight, we have little confidence in a fair hearing from the Environment Select Committee. This is especially so in such a short timeframe which gives so little time for MPs to consider evidence and write a properly informed report. “The legislative changes in the bill involves serious economic and environmental issues and go even further than expected. There needs to be proper scrutiny of the impacts through a normal four to six month select committee process. Because the decision is made and the government has no wish to hear the facts submitters will put up to prove the economic, environmental and social damage the ban will do. The government’s proposed ban on new offshore exploration looks likely to halt plans by Methanex for a $100 million-plus emissions reduction project at its Motunui plant. The company uses natural gas to make methanol and had been considering a project to recover and re-use CO2 from its production processes in order to reduce emissions per tonne of product. But that project is now unlikely to proceed due to uncertainty about the longevity of affordable gas supplies in New Zealand, says John Kidd, director of sector research at Woodward Partners. Unlike the ban which is bad for emissions, bad for the economy and bad for gas continuity. Vancouver-based Methanex is the world’s biggest methanol maker and the biggest gas user in New Zealand. Methanex New Zealand declined to comment on the emissions reduction project. In July it said it had secured sufficient gas to meet half its New Zealand requirements through to 2029, but noted its disappointment with the exploration ban which it said would impact it long-term. Kidd said carbon dioxide recovery would be a good project, but it required a long pay-back period. Methanex refurbishes its production trains every five years and the uncertainty the government policy change has created means it would struggle to justify investments needing more than five to 10 years to pay off. Kidd says it is an example of the environmental costs of the proposed ban, which he believes is more likely to increase emissions than reduce them. The potential for carbon leakage as New Zealand-made products are replaced with products made overseas is “absolutely real”, he said. The fact the coalition is proceeding with the ban shows the government is more focused on shutting down the country’s oil and gas sector earlier than would have been the case, rather than reducing emissions. “All of the scenarios are negative – some of them dramatically so,” Kidd told BusinessDesk. “And the policy objective of reducing emissions is actually worse.” . . If the policy was going to have a positive environmental impact it might, just might, be justified but it will make emissions worse. Oil and gas account for just over half the country’s primary energy supplies. Kidd noted that gas – produced as methanol – brings in more than $1 billion in exports. When converted to urea it displaces about $200 million of imported product, while locally produced LPG displaces about $200 million of imported fuel. The ban loses billions in foregone income, will lead to job losses, will increase emissions and reduce fuel security. It combines rank stupidity with political posturing at a high environmental, financial and social cost. A friend who has a horticulture business estimates the government’s ban on further offshore oil and gas exploration will add around half a million dollars a year to his costs of production. That comes on top of a similar amount more he’ll be paying for labour with the increases to the minimum wage. He might be able to absorb some of the increased costs but will have to pass on at least some of the increase. Food in New Zealand is already expensive. Government policies will make it even more expensive and will also lead to job losses. Adding extra costs for green wash is economic vandalism for no environmental gain. The Government’s decision to ban gas and petroleum exploration is economic vandalism that makes no environmental sense, National MPs Jonathan Young and Todd Muller says. “This decision will ensure the demise of an industry that provides over 8000 high paying jobs and $2.5 billion for the economy,” Energy and Resources Spokesperson Jonathan Young says. “Without exploration there will be no investment in oil and gas production or the downstream industries. That means significantly fewer jobs. “This decision is devoid of any rationale. It certainly has nothing to do with climate change. These changes will simply shift production elsewhere in the world, not reduce emissions. “Gas is used throughout New Zealand to ensure security of electricity supply to every home in New Zealand. Our current reserves will last less than ten years – when they run out we will simply have to burn coal instead, which means twice the emissions. “The Government says that existing wells will continue but that’s code for winding the sector down. Climate Change Spokesperson Todd Muller says the decision makes no sense – environmentally or economically – because less gas production means more coal being burnt and higher carbon emissions. “Many overseas countries depend on coal for energy production. Those CO2 emissions would halve if they could switch to natural gas while they transition to renewable energy. “By stopping New Zealand’s gas exploration we are turning our backs on an opportunity to help reduce global emissions while providing a major economic return to improve our standard of living and the environment. Mr Young says the Government’s decision today is another blow to regional New Zealand, and Taranaki in particular. “It comes hot on the heels of big decisions that reduce roading expenditure, cancel irrigation funding, and discourage international investment in the regions. You can sign a petition against this economic vandalism for no economic gain here. 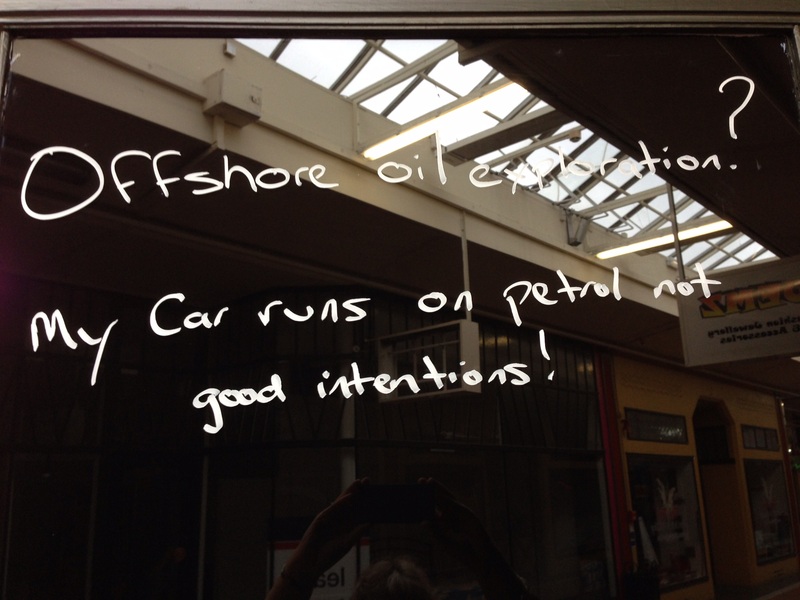 When oil and gas are mentioned, we think of fuel for vehicles. But oil isn’t just used for fuel. Filling up at the gas station is certainly one of the ways to use oil that is most familiar to us. But guess what: of all the oil we use, only 43 per cent goes to fueling our cars. Given this, can we seriously consider ending our “dependence on oil”, as some would suggest? Someone who wants to stop using oil will have to say goodbye to smart phones, ballpoint pens, candlelight, clothing made of synthetic fibers, glasses, toothpaste, tires (including those on bicycles), and thousands of other products made from plastic, a petroleum derivative. Good luck with that program. Problem is, the anti-oil discourse so demonized this resource that we came to forget the many benefits conferred by its use. Oil and its derivatives have improved living conditions in Western industrialized societies, as the list quoted above quite clearly demonstrates, but also worldwide. In Africa, for example, earthenware jars used to transport water have been replaced by plastic jars, which are much lighter, providing some relief to women who have to carry out this task. What’s more, some of these products shaping everyday life are designed locally. That’s the case for Eska water bottles or Kraft mayonnaise recipients, manufactured in Montreal. So much so that a high-technology sector has emerged around Montreal refineries over the years, providing quality jobs for more than 3,600 workers. . .
Like other greenwash, the anti-oil movement has gained traction based on half-truths and emotion. Like other greenwash, the government’s decision to ban offshore exploration will come at a high economic and social cost with no environmental gain. The government’s decision to stop offshore oil and gas exploration is nothing but greenwash. National Opposition energy and resources spokesman Jonathan Young said the decision had come without any consultation with industry. “The Government had promised to consult but have now made an abrupt decision to stop any new offshore exploration,” he said. New Zealand has only about 10 years supply of gas reserves left, he said. “So in 10 years time we will be buying imported gas to fire up the barbecue,” he said. Young said 20 per cent of nationwide electricity generation depended on gas. “What will replace gas as the demand for more electricity rose with electric vehicles and we don’t have enough renewables. This move will do nothing to reduce the use of oil and gas in New Zealand or elsewhere. It will just mean importing oil and gas from elsewhere. That will be more expensive and worse for the environment. New Plymouth mayor Neil Holdom called the decision a “kick in the guts” for the Taranaki economy. The industry provided directly and indirectly up to 7000 jobs in the region. “It was a kick in the guts for the long term future of the Taranaki economy and urgent work was needed on a plan to maintain Taranaki’s position as the provincial powerhouse of New Zealand’s economy,” he said. . .
Any gain from the projects which got money from the Provincial Growth Fund last week will be more than cancelled out by the jobs lost in the oil and gas industry and those who service and supply it. This policy is economic sabotage for no environmental gain from a government long on rhetoric and virtue signaling and very short on reason.